The white wall and the black and gray striped flooring material complement each other. 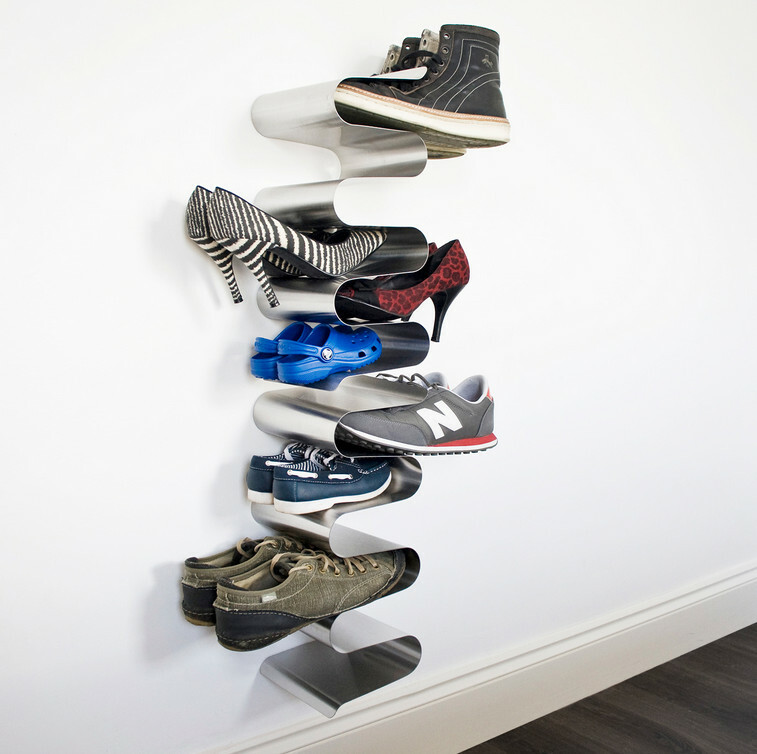 For an extra shoe storage rack, have a twisted ladder-like structure mounted on the wall. The aluminum sheen of the metal sheet emphasizes your white wall and each shoe pair occupies just a small space. This shoe organizer can accommodate up to twelve pairs yet it looks so simple and small.